The changes of temperature and climate have great effects on a person’s body especially the younger and older ones. Their bodies become vulnerable to the conditions that are set during these extreme weather changes. This is an increasing alarm to everyone especially we are now facing the onset of climate change. However, the 21st century modern health care industry has already catered to different specialized needs of people especially for elder people and this is the improved services of non-medical home care in Opitz Boulevard Woodbridge VA! 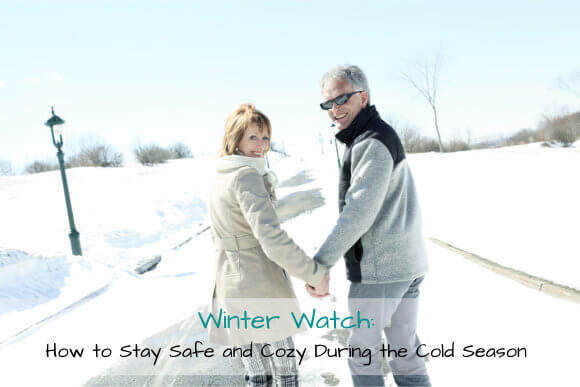 OptimumCare Home Care Services, a reliable source of non-medical home care in Opitz Boulevard Woodbridge VA, is here to give you practical ideas on how you and your elders can stay safe and cozy during the winter season. Get yourself informed with the current events around town about the status of the weather condition. Check how it is affecting your area and what the local government advices you to do. In this way, you would be able to avoid its possible threatening effects. In case the weather is too harsh to be outside, you can stock canned/instant foods for you to get by. It is usually life-threatening for aging people to be exposed in extreme weather conditions because it can only In case of medications, you can ask your quality provider of non-medical home care in Opitz Boulevard Woodbridge VA for assistance. Keeping a contact list that contains contact information of the nearby neighbors and relatives is very beneficial especially in case of emergencies. You also include in the list the immediate organizations who can respond to different types of emergencies. Ask your quality provider of non-medical home care in Opitz Boulevard Woodbridge VA to prepare the necessary medical supplies needed by your elders. If you are far away from your loved ones, always monitor their medication intake because the cycle of the medication might be interrupted and might give setbacks in the whole process of medication. If you would be able to get the right attire for you and your family members, you could stay at ease and cozy in your house. It would be great to feel comfortable at your home especially at this time of the year. You can discuss about an emergency plan with your provider of non-medical home care in Opitz Boulevard Woodbridge VA so that you always have a Plan B at hand. This is also necessary for family members that are far from their elderly loved ones. OptimumCare Home Care Services is the long-trusted provider of non-medical home care in Opitz Boulevard Woodbridge VA! Let your elders enjoy the best quality of life with our compassionate home care professionals and superior services today! They deserve to stay safe and cozy this winter season! For more information and assistance, you can contact us at this number: 703-490-8003 or visit us at www.optimumcarehomecare.com!